This was a cool moment for me and it didn't even involve me directly. My wife assisted me in covering Fantastic Fest and she got the opportunity to interview the awesome Tim Burton. Burton was in attendance during the Film festival to celebrate "Keep Austin Peculiar Day" and for the premiere of Miss Peregrine's Home for Peculiar Children. 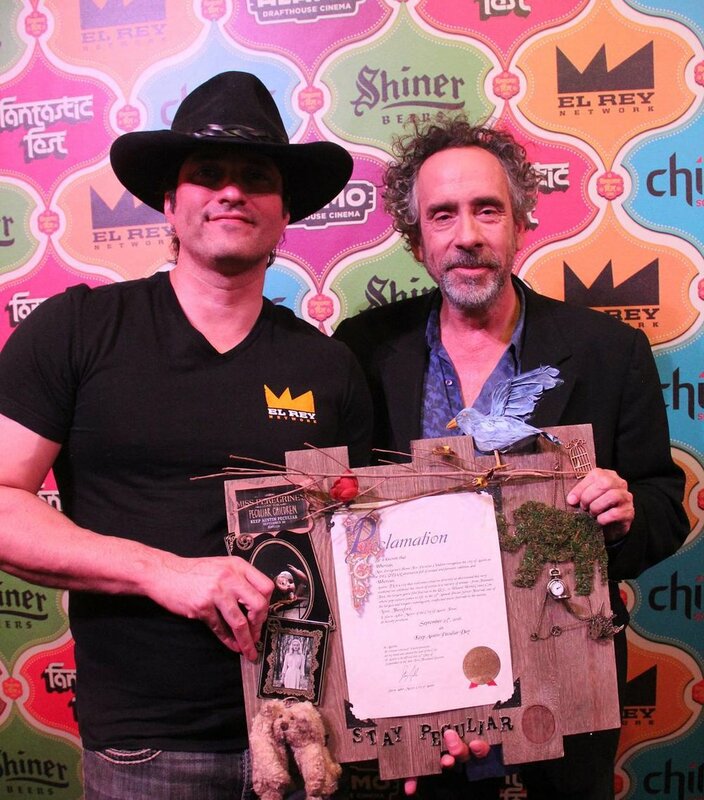 Robert Rodriguez presented him with proclamation making Keep Austin Peculiar an actual holiday.